The KMS Thin Section Plastic Ball Bearing features standard Celcon® acetal (POM) rings, machined radial ball groove construction, and 316 stainless balls. Celcon® Acetal POM (PolyOxy-Methylene) is a superior general purpose engineering polymer that provides excellent properties that bridge the gap between metals and ordinary plastics. 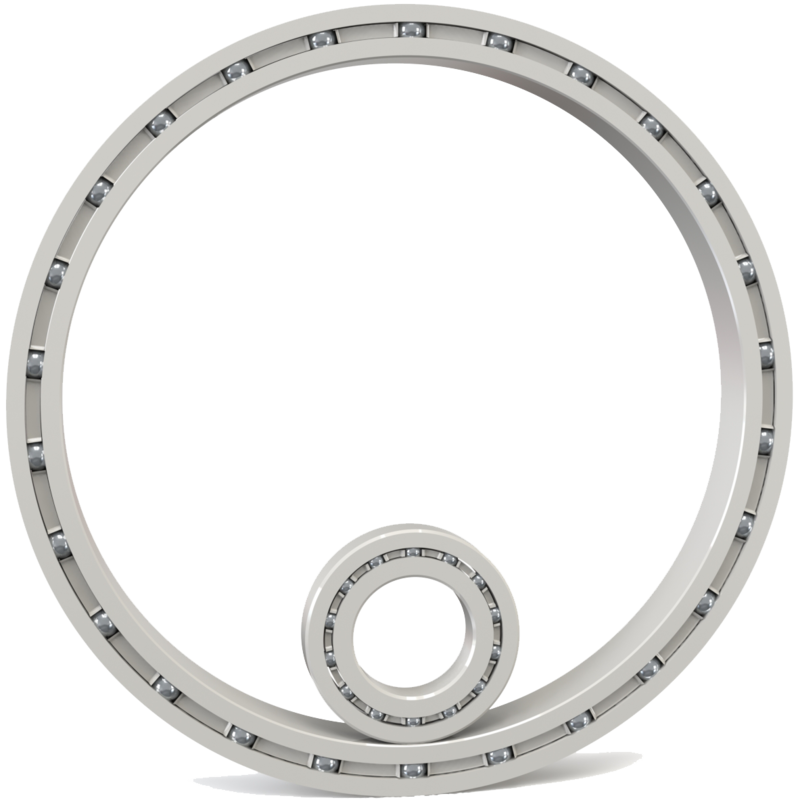 These polymer bearings feature single & double row, caged and full complement bearing construction. Alternative balls can be offered upon request. See Ball Materials. When acetal plastic is not the right fit, we have alternative materials that may be better suited for your application – please contact KMS Bearings for more information. Any of the listed standard sizes below can be modified to better suit your application. We can modify the size, material and add mounting features. Consult KMS for a semi-custom and/or custom bearing solution.